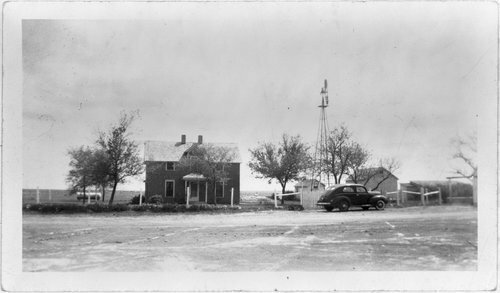 This photograph shows the Immanual (Immanuel) Lutheran parsonage in Sheridan County. It is a two-story structure with outbuildings, a fenced yard, windmill, propane tank. The car parked out front is probably a 1940's model.